SMITHS FALLS, ON , Aug. 20, 2018 /CNW/ - Canopy Growth Corporation (WEED.TO) (CGC) (the "Company" or "Canopy Growth"), through its wholly-owned subsidiary Tweed Inc., has been selected as an approved supplier by the Ontario Cannabis Store ("OCS") to supply a wide variety of cannabis products through its online store starting October 17th, 2018 . Specific quantities will be disclosed once those details have been released by the province. 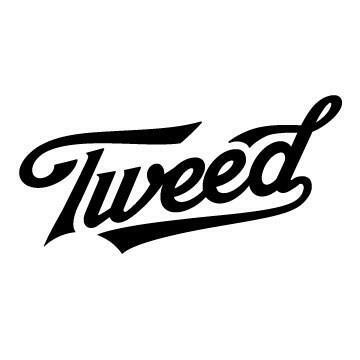 In total, Tweed has successfully listed over 100 cannabis SKUs across multiple formats including pre-rolled joints, dried flower, oils, and softgel capsules. "Today marks another significant milestone for us as we've officially ensured Ontarians will have access to a huge variety of Tweed -branded products," said Mark Zekulin , President & Co-CEO, Canopy Growth. "With our private retail plan being rolled out in other provinces, our attention in Ontario will now turn to bricks and mortar shops in this key market." Canopy Growth applauds the Province of Ontario's recent decision to initiate a private cannabis retail network. It is an incredible opportunity that will see the private sector make investments around the province, reducing taxpayer dollars spent while maintaining a smart, centralized warehouse inventory system. Private retail is a more profitable business model which will also allow Tweed to build a deeper connection with its customers. Every detail of Tweed's retail stores, from the backend point of sale and loss prevention systems to the fixtures on the walls, have been finalized. With the prep work complete, Tweed stores can be opened within weeks of receiving the green light. With today's announcement Canopy Growth continues its streak of being included in every province and territory's supply plans. Canopy Growth is a proudly Canadian company with a truly national presence, Coast to Coast to Coast. Here's to (a steady drumbeat of) Future Growth. Notice Regarding Forward Looking Statements This news release contains "forward-looking statements" within the meaning of the United States Private Securities Litigation Reform Act of 1995 and "forward-looking information" within the meaning of applicable Canadian securities legislation. Often, but not always, forwardlooking statements and information can be identified by the use of words such as "plans", "expects" or "does not expect", "is expected", "estimates", "intends", "anticipates" or "does not anticipate", or "believes", or variations of such words and phrases or state that certain actions, events or results "may", "could", "would", "might" or "will" be taken, occur or be achieved. Forward-looking statements or information involve known and unknown risks, uncertainties and other factors which may cause the actual results, performance or achievements of Canopy Growth or its subsidiaries to be materially different from any future results, performance or achievements expressed or implied by the forward-looking statements or information contained in this news release. Examples of such statements include statements with respect to the Company's extension of the existing agreement. Risks, uncertainties and other factors involved with forward-looking information could cause actual events, results, performance, prospects and opportunities to differ materially from those expressed or implied by such forward-looking information and such risks contained in the Company's annual information form dated June 28, 2018 and filed with Canadian securities regulators available on the Company's issuer profile on SEDAR at www.sedar.com. Although the Company believes that the assumptions and factors used in preparing the forward-looking information or forward-looking statements in this news release are reasonable, undue reliance should not be placed on such information and no assurance can be given that such events will occur in the disclosed time frames or at all. The forward-looking information and forward-looking statements included in this news release are made as of the date of this news release and the Company does not undertake an obligation to publicly update such forward-looking information or forward-looking information to reflect new information, subsequent events or otherwise unless required by applicable securities laws.